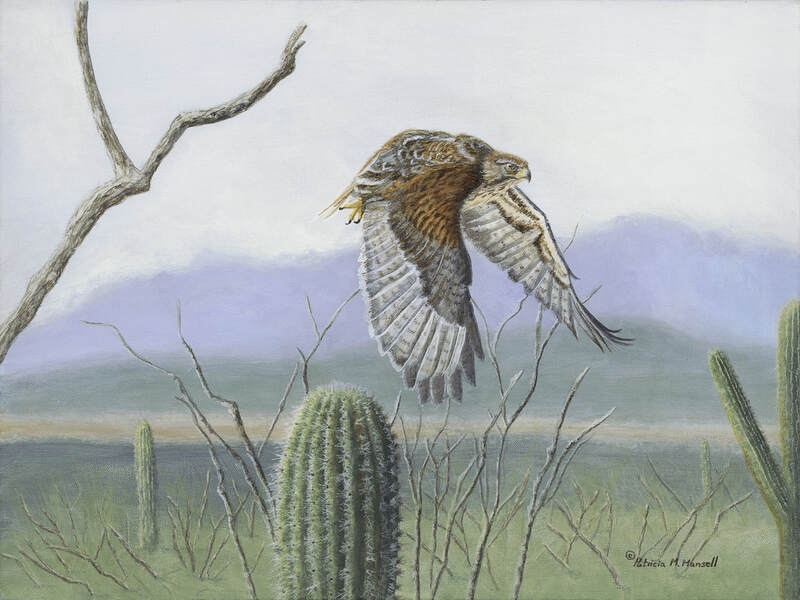 "The Harris Hawk is a master hunter of the Sonora Desert and often hunts in groups. It's population in the wild has been declining due to habitat loss when bushes and trees are removed for agriculture it provides them with less perches and nesting sites. Flying low this Hawk gives a wonderful display of his wing feathers as he skims the desert searching for prey.